I ignored the Summer collection from Nars this Summer until last Friday. I simply couldn't resist this duo once I had seen the colours swatched for myself, particularly the gorgeous taupe shade. The lighter shade is a shimmery taupe that has a duo chrome finish that has a subtle hint of a green tinge with no glitter. The darker shade is a very dark navy that has a matte charcoal feel to it. 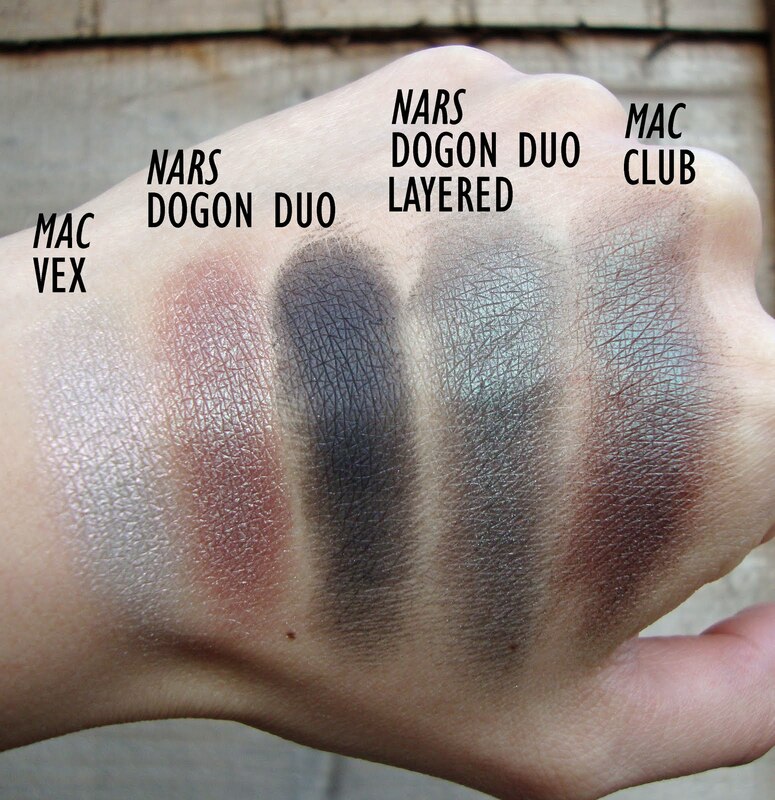 The lighter shade from the 'Dogon' duo reminds me of a much paler/muted e/s which is 'club' by Mac. Once you layer the lighter shade on top of the darker shade it creates a beautiful charcoal/navy with hints of taupe and a subtle green shimmer through it which then looks more like 'Club' but without the brown. 'Vex' e/s by Mac is a veluxe pearl e/s which will work well together with this duo for a more toned down daytime look when combined with the lighter shade. 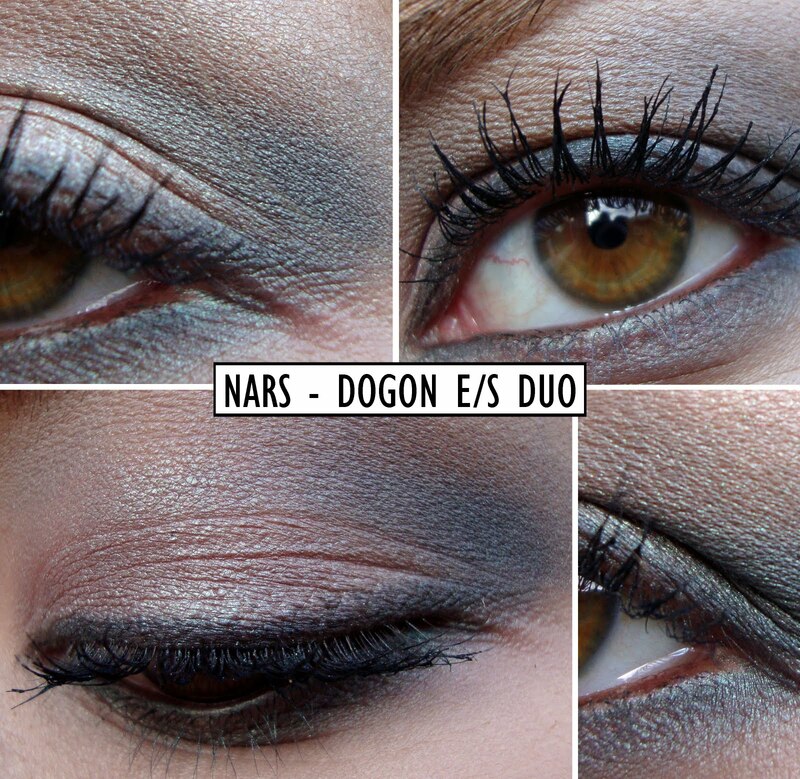 I have been wearing the 'Dogon' duo for daytime and nigh time looks. I have tried it a few different ways with alternating crease and lid colours but here's my favourite way to wear it. The taupe shade all over the lid, the darker colour as a liner and blended into the crease. I also used a brown pencil eyeliner from Jemma Kidd, Mac Zoom fast lash mascara, and Mac 'Brule' e/s as a highlight. In my brows I have Mac clear brow gel and I slightly filled them in with Rimmel eyebrow pencil in 'Hazel'. For a more daytime look I use less of the darker shade and if I want to intensify it for the evening I add more of the darker shade in the crease and smoke it out on the lower lash line. VERDICT = Totally wearable, I say this is a perfect duo to throw in your makeup bag and it's far more interesting than most shades. I have also just used the taupe shade on it's own and it looks amazing blended out into the crease and looks like you put more effort into your look than you actually did. Also, technically you get 3 colours when you layer both colours from the duo together. Well worth the money! Are you feeling 'Dogon' or anything else from the Nars Summer collection? Looking lovely! I have mac club and love it- great for a quick eye look when rushed for time! So beautiful!!! the color and the pigmentation is amazing. 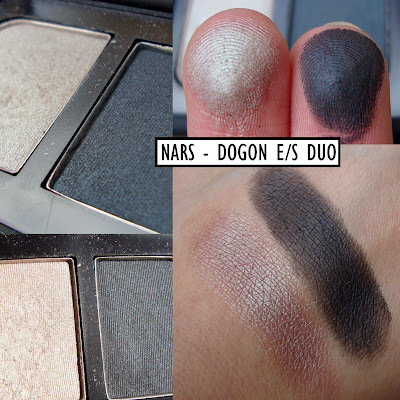 I would love to try some Nars eyeshadows. You've got beautiful eyes and lovely eyelashes, so your eyes looks fantastic with this look. Well, now i'm feeling it ;) This duo looks amazing on you..I almost like the looks of Dogon more than club actually! It's really pretty. The look that you came up with is amazing and yet simple... lovely! ur eye color and hair color is almost same! and it is just so lovely! never go darker again! 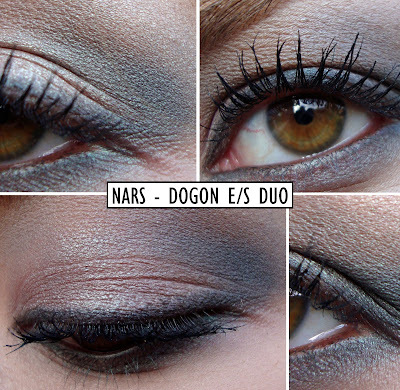 This looks great, I love a light smoky eye for day! Just purchased Dogon and I'm in love too! Amazing taupe! Wow, so pretty...I love how you've made it look wearable 'cause I was at a loss! I think it's cool that if I layer the taupe shade on the navy shade it looks like a forest green. Soo pretty and versatile!